Love the bar stools. Do you know the manufacturer? Yes I would also like to know more about the bar stools. These were bespoke cabinets made by our in house joinery team. tile - Please tell me the name and brand of the tile. 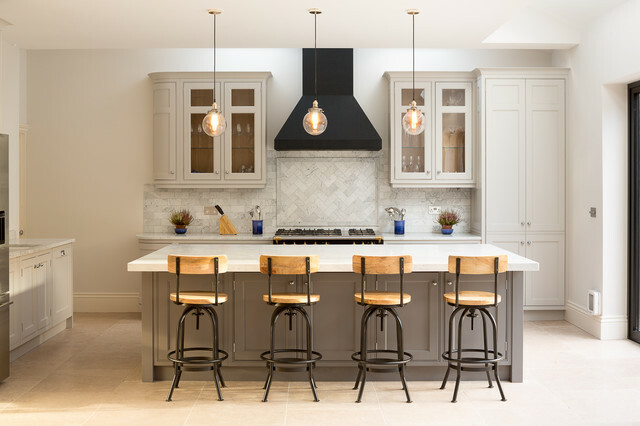 Looks like it's Bianco Carrara 3x6 subway tiles were used for this backsplash and it is a good example how subway tiles can look simple yet elegant and beautiful. 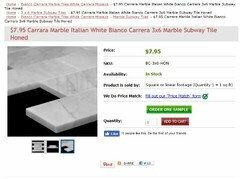 You can find our Bianco Carrara collection right here - http://www.carraratiles.com/bianco-carrara-marble-tiles-white-carrera-mosaics.html. Subway tiles are also used to create the picture frame pattern which was completed with molding pieces. 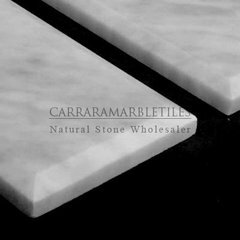 Selection of the moldings is here - http://www.carraratiles.com/marble-moldings.html. As an alternative to regular subway tiles, we have subway tiles with wide bevel. We have 3x6 and 6x12 sizes available with wide bevel. Need help? Our contacts are listed here - http://www.carraratiles.com/contact-us.html. Where to get these bar stools? - What is brand? Beautiful! What is the counter top? What is the color of the island cabinet please? hood with units not too close... do window units look better? If we do a design above the stovetop I would like something like this that is just a different layout of the back splash stone.